Why you Should Start a Sustainable Community & Grow your own Food. I am glad that so many people across the country have been trying to start communities and grow organic food. But sustainable living is not just about goals of things to accomplish. Long-lasting and continually evolving sustainable living requires a shift in consciousness, a state of being. It is a total lifestyle—a way of thinking and doing that is not done in part. Thirty years ago I co-founded, with Niánn Emerson Chase, a vision of sustainable community living that turned into a reality. Now we live with nearly 120 people from all over the world in a beautiful 220-acre Eco Village in southern Arizona. I want to share some of the reasons why more people should start communities like this and how they can succeed. Independence, from the system and the one percent must begin in our mind, in our consciousness that determines our decisions and actions. And we can’t do it alone. It’s going to have to be with a group of individuals, all working together to make this independence happen. Buying land together may be the first physical step. Building “green” the second, but before you do either one, you should have many meetings together, deciding how to live in “green,” sustainable consciousness, because we are the permaculture—the new, permanent agriculture. Perhaps the most important part of sustainable living is interpersonal sustainability. That requires efficient and effective conflict resolution. The values of communal living must be taught to adults and children so that there is a unifying goal of self-improvement as well as community improvement. Through many years of blood, sweat, and tears, we have created a wonderful sub-culture of individuals who constantly seek ways of being more selfless and service-oriented. If you move to a rural intentional community, you have to get used to the sounds of children playing and laughing right outside your window, of people using a kitchen appliance while you may still be in bed, of cows mooing, goats bleating, chickens clucking, horses whinnying, and tractors plowing the fields. It’s a different type of sound from what we would hear from a city apartment’s window—the constant hum of trucks, cars, and trains; honking horns; screeching sirens; several radios blaring at the same time on different stations. In intentional community, you’re not living alone anymore (or with just your small nuclear family). There is a popular saying that “thick walls make for good neighbors,” but I believe that in a true community there should be many houses on the same land and no fences, except for those fences to protect the animals from predators. Many Native American tribes did not have fences to separate themselves from their fellow tribesmen. In the world of over-consumerism and self-serving values, people are always running around trying to be seen by the right people, buy the right thing, wear the right clothes, and go to the right event. This modern consciousness madness is so inbred in Western civilization today that many people miss one of the greatest things that they can do for humanity, and that is, slow down and give someone a smile or a kind hello, take time to really know another person. In true community life, whether in a city apartment complex, suburban townhouse or a small farming town, there should be more time to have an experience with another human being of quality time. It is easier to do that in a rural, agrarian lifestyle where the pace is slower, people pay more attention to each other, and they are more “at home” with nature. In a community of people with sustainable consciousness we can share not just clothing but getting together as a group and watching a worthwhile film together. Afterward, people can take time to discuss the film: its meaning, messages, and artistic strengths. Many people have the consciousness of “bigger is better.” However, in forming a community, even if we have the money, we should consider how much land we want to buy. We should think how many acres we’re really going to be able to plant, maintain, harvest, and steward. All we may need, if we have just a few people, is a few acres. The more people we have, the more acreage we’ll need. If you have the finances of buying many acres and just planting on a few of them, letting the others sit, great! But even those few acres are going to take a lot of work, and it’s going to take equipment to work that land. We also have to have a consciousness of realizing the necessity of good leadership. Using only consensus for making decisions, especially with more than six individuals, is usually counterproductive because everybody has their opinion of how things should be done and run. So if we really want our community to actually survive and grow, we need leadership—a decision maker—because when people are locked in their opinions and do not agree, someone has to decide. Many situations and emergencies come up in a community where snap decisions need to made, and you can’t go to consensus to decide what to do when your place is burning down. Eating organic food is sustainable because it will likely save on many medical bills. Our bodies are amazing in how they can respond to healthier food. And how about the preservation of water? 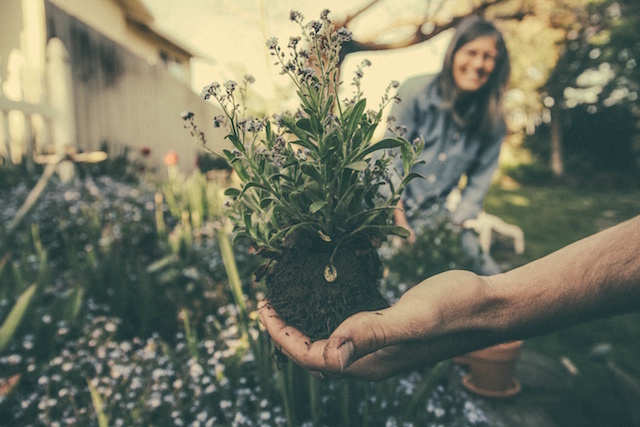 Living in an intentional community helps us begin to realize that others are watching how we use water and other natural resources, and so our consciousness of personal responsibility begins to blossom more quickly in that social situation. You will find that in choosing to live in a community of people who want to become more sustainable in their lifestyles that you become more aware of the natural elements and how precious they are for our survival. For example, you will learn to create water catchments for the rain and how to reuse grey water from washing machines and showers. In community living we need to get away from the consciousness of just looking out for our own biological family, because the whole community becomes our extended family. I coined the saying, “My child is your child, and your child is mine,” for we not only share material things, we share the care and upbringing of children so that the burden of parenting is lightened. In my community, no one owns anything except private clothing and heirlooms; everyone should be stewards of things that belong to all. From cars to computers to tools, everything can be shared. That’s sustainable because we don’t have to run out and buy everything. Someone in the community probably has it or brought it with them when they came. In community-living, people can develop the consciousness of giving and sharing. In community we pay the bills as a group, and the every-day-living bills are decreased because we are sharing more and consuming less. In my experience, many of the mental burdens of being in survival mode are lifted when we join others to create a better quality of life together that benefits even others outside of our community—as well as the land we live on. Consciousness in humans does indeed have cause-and-effect ramifications, a domino cascade of short-term and long-term impacts in every area of human and natural life. Is our consciousness part of the perpetration of the rapidly unraveling web of life on Earth or are we moving into a consciousness of sustainability that contributes to the correcting and healing of people and planet? Thank you Elephant Journal for publishing this article. I very much enjoyed reading it, and learned much and will be looking for more by this author. Catch the vision! As we witness the established systems fail we can all take heed together and realize that this is not only an end but a beginning, a new beginning that begins with a leap but is firmly established on reason, care, common sense, community and true, holistic, sustainability. Hope is in change, hope in action begins with courage to leap but fear not for others have gone before us and there is support for all those who hear that now is the time. Respect and recognition to Gabriel Of Urantia and Niánn Emerson Chase, and all the elders of Avalon Organic Gardens & EcoVillage, for sacrificing and leading (for almost 30 years now!) in this paradigm shift to a new and beautiful way of living, on our earth and with one another. Living at Avalon Organic Gardens & EcoVillage has been the most rewarding 19 years of my life. As a parent I am most grateful for the trustworthy extended family support provided for my children. Raising children indeed takes a whole village and with this model of living it is achievable. 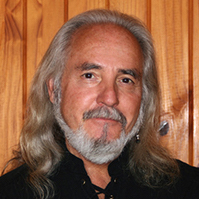 Gabriel is the co-founder of Global Community Communications Alliance in southern Arizona, a multifaceted global change nonprofit, comprised of about 120 change agents from five continents on 220 pristine acres called Avalon Organic Gardens and EcoVillage. His lifelong devotion to God and service to humankind has led him through many levels of spiritual growth resulting in his founding innovative and highly successful programs for helping others to ascend spiritually so they can heal and prosper as ascending souls of God. Gabriel is the author of several books including The Divine New Order And The Dawn Of The First Stage Of Light And Life. Connect with Gabriel on his website.